It has been an inarguable truth over the ages that pirates are cool. As far back as the 1700’s, authors have been writing about and romanticizing the lives of those who sailed the seven seas. Here’s a list of books on pirates and piracy, fiction and nonfiction, new and old. I even threw in a few at the end for those digital pirates out there. Under the Black Flag: Romance and Reality of Life Among Pirates, by David Cordingly. Find out what about pirates is fact and is fiction. The myths are debunked and replaced with a more accurate, and often more gruesome, account. The Pirates of Somalia: Inside their Hidden World, by Jay Bahadur. Reading about the inner working of modern pirate organizations from Jay Bahadur, the first man to write about the Somali pirates from on the inside. Red Rover(inside Sea Tales), by James Fenimore Cooper. Cooper’s iconic style from Last of the Mohicans, but with pirates on the open ocean instead of Native Americans in the forests. Master and Commander, by Patrick O’Brian – The first of several novels detailing the friendship of Captain Aubrey and Stephen Maturin, the ship’s surgeon, as they sail in service of the British Navy during the Napoleonic Wars. Contains some very detailed descriptions of life aboard a man-of-war. 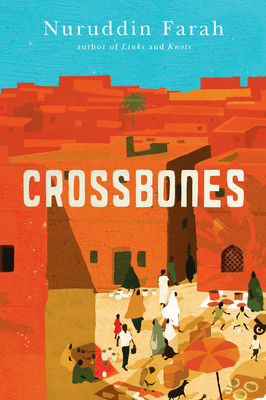 Crossbones, by Nuruddin Farah. Over a dozen years after leaving, two brothers return home to Puntland, the region of Somalia notorious as being a pirate hideout. Things are not as they remember them to be. The Planet Pirates, by Anne McCaffrey. It’s about pirates…in space. Free Culture: How Big Media Uses Technology and the Law to Lock down Culture and Control Creativity, by Lawrence Lessig – If our society values freedom of speech and freedom of the press, how do allow such tight control of major media outlets? Lessig examine how large media corporations have manipulated copyright law and broadcast agencies to control the market and stifle creativity. Copyrights and Copywrongs: The Rise of Intellectual Property and How it Threatens Creativity, by Siva Vaidhyanathan – Along similar lines to Free Culture, this books focuses more on the history. It a bit on the small side for a history, but this one is packed full of information. June 2009: Facebook encourages underground opposition groups in Iran to use Facebook as an organizing tool. That’s all for now. Make sure to check back for more recommendations. Or just stop in and ask in person!